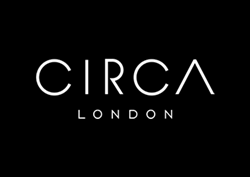 Circa London’s complaints procedure has been designed to ensure that any concerns are dealt with as quickly and efficiently as possible. Every attempt will be made to try and resolve matters to your satisfaction as soon a possible. If they are unable to resolve the situation to your satisfaction, you should refer the matter to the Department Manager. The individual staff member will provide you with the manager’s contact details. We ask that you send a written summary of your complaint to the manager. Your complaint will be acknowledged within two working days of receipt and an investigation undertaken. If, at this stage, you are still not satisfied or any aspect of your complaint remains unresolved, then you can ask that the matter be referred to the Director. The Director will acknowledge your complaint within two working days and will investigate the issues raised. He will then undertake a review of your complaint including how the issue has been dealt with to date, and will conduct further investigations into the background. He will make every attempt to resolve the issues to your satisfaction. If, following the response from the Director, you are still not satisfied with the proposed resolution, you may approach The Property Ombudsman (TPO). Details of how to file the complaint will be included within the Managing Director’s final response. The following link to The Property Ombudsman Service (TPOS) will also provide all the information you may require.